These foods only contain fresh muscle meat and offal, so that the structure of the meat is maintained, providing your cat with a healthy dose of natural taurine. All of the varieties are grain-free, making them suitable for cats with allergies and intolerances. Animonda Carny is also free from artificial additives and soya. 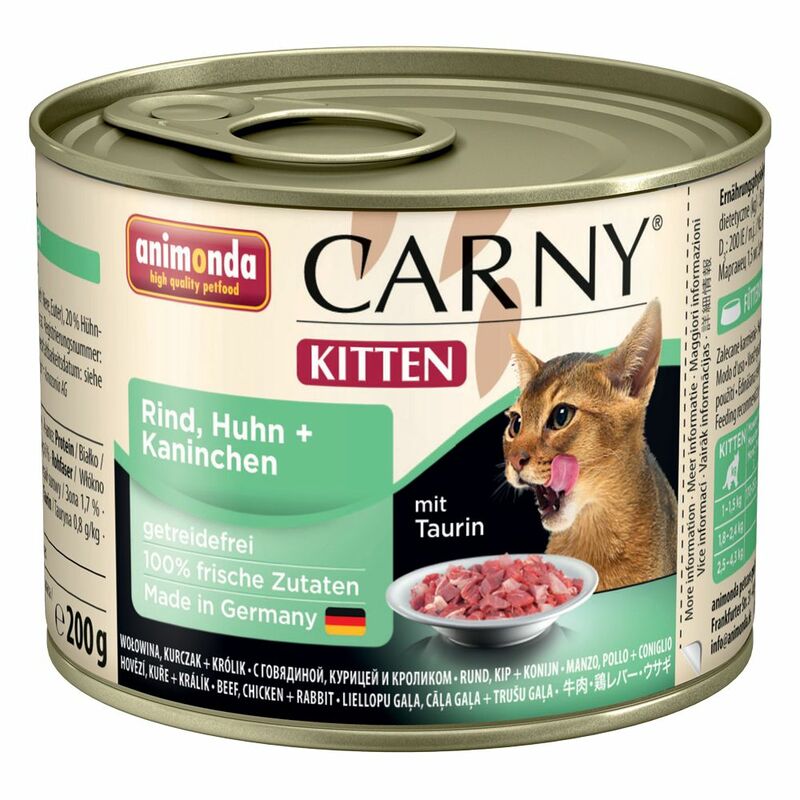 Animonda Carny Kitten has a natural, authentic meat flavour that cats love. The label shows which meat types are included, so that you know exactly what you are feeding to your pet. Animonda Carny Kitten 6 x 200g at a glance: Complete food for kittens Ideal for kittens with food intolerances or allergies Promotes healthy growth and provides balanced nutrition for kittens Grain-free: For best acceptance and easy digestion Only contains meat and offal: for high quality taurine and natural protein All ingredients on the label: no added extras No artificial additives: No preservatives or colourings, flavour enhancers or soya Made in Germany.